The Matsuri slot from the uber cool Play'n GO is a stunning looking game that does justice to its Japanese festival theme – vividly brought to life across five reels and 25 colourful paylines. With a maximum bet of 100 and a jackpot of x3,000 it's a game where high rollers can win big. 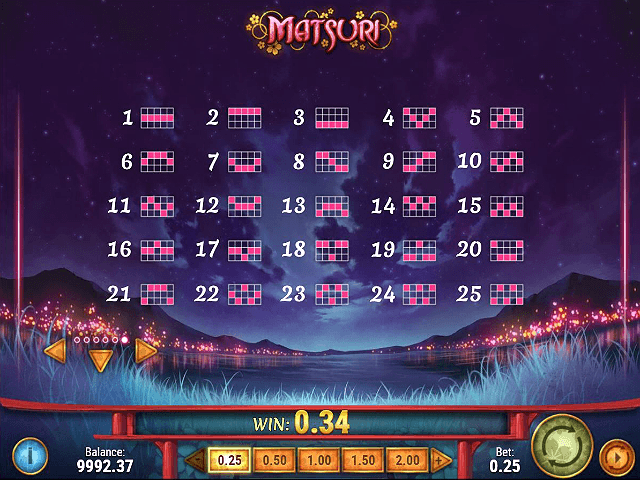 And with an array of base-game wins, excellent free spin bonuses, interactivity and a brilliant vibe, Matsuri is a classic game to play for pure pleasure, too. 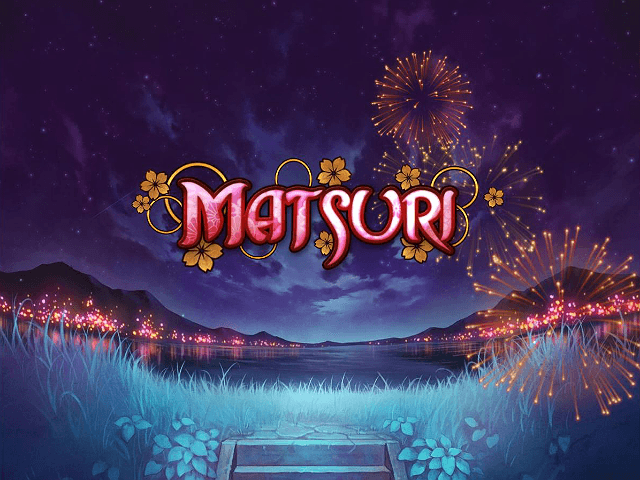 Play Matsuri Slot Demo for Free! Play Matsuri for Real Money! In recent times we've seen a lot of slot games of an Asian persuasion - think about Geisha Wonders and Sakura Fortune - and Matsuri definitely rivals the best of them for both playability and beauty. The phrase Matsuri (symbolised by 祭) is the Japanese word for a festival or holiday, and if you're something of a refined beast, you'll appreciate the level of depth Play'n GO has put into this slot. It's a slight exaggeration to say that it feels like you're there in the middle of a Japanese carnival – but give it a spin and the soundtrack, refined slotscape and buzz of festival goers will relax you as much as an Oriental massage (OK, almost). Matsuri features a midnight purple sky illuminated by fireworks, with the lights of the carnival making the lake shimmer beneath. It’s a spectacle of iconography across the reels — including pretty geisha girls, dango dumplings, takoyaki, traditional fans, iced desserts, Matsuri lantern wilds, carnival cat masks and Kingyo Sukai goldfish. Powerful symbols in the game include the lantern wild which substitutes for other icons, the goldfish scatter icon to launch the interactive bonus game, and the carnival cat which is the path to free spin rewards. Matsuri has very fair 96.17% return-to-gamer levels. Carnival treats, the ornate fan and flower rosettes payout from 12 to 400 coins. 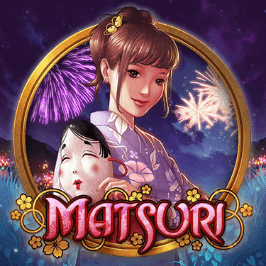 The wild Matsuri lantern rewards you with 100, 400 or 3,000 coins. The three Japanese geisha girls gift you between 40 and 1,400 coins. 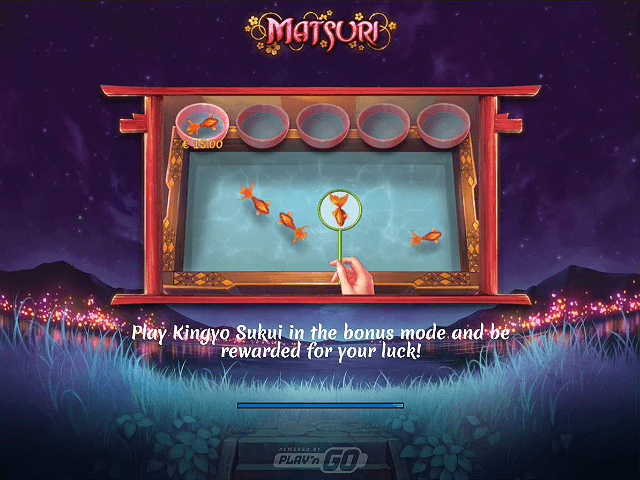 Matsuri's Kingyo Sukui bonus is a nice feature from the team at Play n' GO – in case you're wondering, it's the name of the traditional ‘net a goldfish’ game played in many parts of the Orient. Landing three goldfish scatter symbols on the three middle reels launches the game. You're given an ornate paper spoon and have to scoop up little fish to win rewards; be careful though, when your spoon breaks it's game over. The other big bonus in Matsuri is the free spin feature – triggered when you match three cat face festival masks on reels one, three and five. The feature gives you eight free spins, but more goes are awarded when the scatter lands again during the spins (with a maximum of 20 in total). If luck's on your side, you'll also spin some wild lanterns, which expand into a beautiful lamp across the whole screen. The expanded wild moves one reel to the left on each successive spin, until it slips off the screen. Match three or more wilds and you're likely to really be in the money. Festival Verdict: Matsuri slot is one of many games around of an Asian persuasion and it has to be one of the best, too – with great graphics, a classy feel and two solid bonuses. Share this Matsuri Review today! 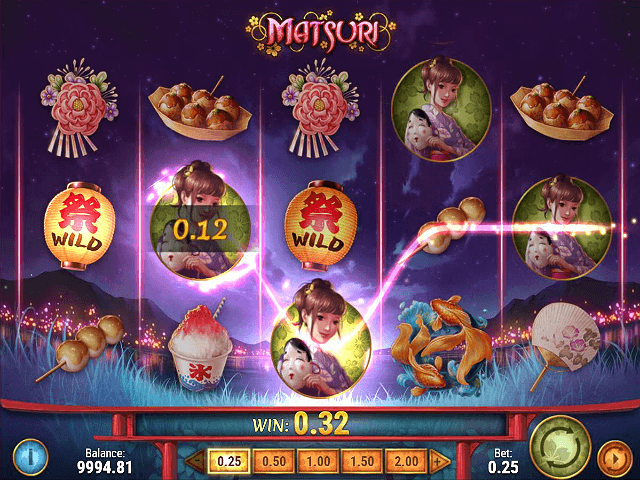 If you like Matsuri, you'll love these slot titles too!